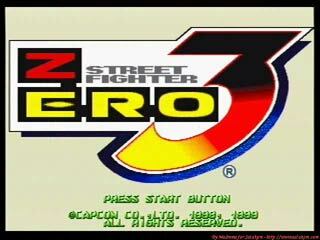 Street Fighter Zero 3 (ストリートファイターＺＥＲＯ３) is a Fighting 2D game, developed and published by Capcom Co., Ltd., which was released in Japan in 1999 for the Sega Saturn. Street Fighter Zero 3 is the last of the Street Fighter Zero series. It has 9 different modes (Arcade, Versus, Training, World Tour, Entry, Team Battle, Survival, Dramatic Battle and Final Battle) and no less than 33 different warriors (Ryu, Ken, Chun-li, Dhalsim, Zangief, Nash, Guy, Sakura, Sagat, Adon, Rose, Sodom, Dan, Cody, Balrog, Rolento, R.Mika, Gen, Gouki, Blanka, Cammy, E.Honda, Birdie, Karin, Dee Jay, Fei-long, T-Hawk, Vega, Juli, M. Bison, Juni, Guile and Satsui no Hadou ni Mezameta Ryu). 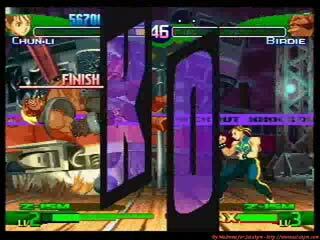 One new option appears in SFZ3: you can take control of how your super combo bar works, thanks to the ISM mode. So you can elaborate different strategies according to the option you choose. To be more powerful, the game takes advantage of the 4MB RAM Cartridge to have short loading times. 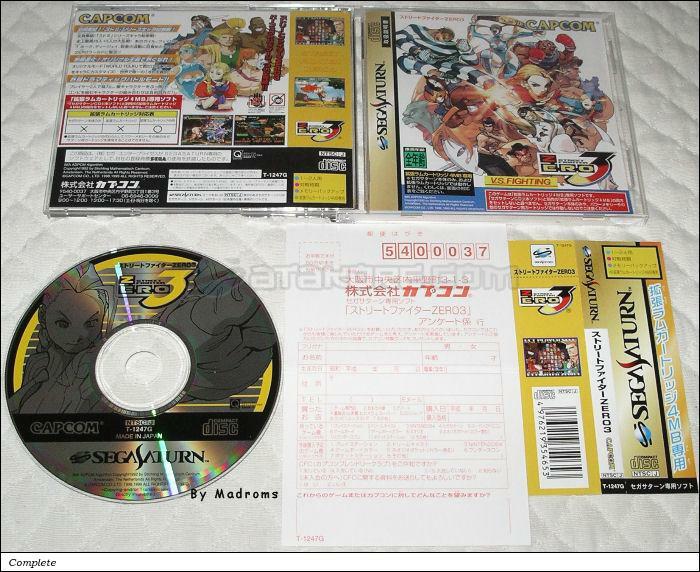 Street Fighter Zero 3 is the best Street Fighter game on the Sega Saturn, but also the most expensive one.